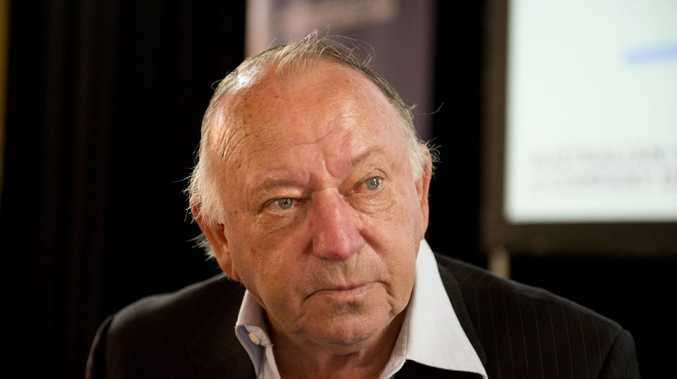 DOUG Walters scored 15 hundreds in a brilliant Test career, but the success wasn't a result of early nights, hard training and energy drinks. Walters believes late-night socialising over a beer or two, not training too hard and enjoying a card game and a smoke were large reasons why he was able to average 48.26 at Test level. He did even better than that on a tour of the West Indies in 1973, scoring 497 runs from eight innings at an average of 71, despite a good deal of late-night activities. But he drew the ire of captain Ian Chappell prior to the first Test, turning up late for the match after a big night out. Chappell proceeded to make him field at fine leg at both ends, with Walters cheekily asking for a bike to get from one end to the other. While having a beer with your opponents after a Test has been a tradition in the game, the Australian players were criticised for not doing that in the recent Ashes series in England. England fast bowler Jimmy Anderson said the New Zealand players had been quite happy to knock the top off of a couple of coldies in their series earlier this year, and had been surprised when an offer by England captain Alastair Cook after the first Test at Cardiff was rejected by the Aussies. "It's Cooky's idea. He's the captain, he went and asked them," Anderson said. "We were all happy to do it. I don't know why they (the Australians) didn't come in." If Walters had his way, they certainly would have. "I think it still should be part of the game," he told APN. "You get to know someone over a beer, don't you? Not over a telephone call, or a limited conversation over a cup of coffee." Walters was always known for his relaxed attitude towards training, hence his difference in opinion to modern recovery methods and today's change rooms being full of specialist coaches. "I haven't been in a dressing room since I stopped playing, but I certainly wouldn't like to see as many people in a dressing room as I've seen on a team bus arriving at a ground," he said. "I can't believe the entourages these guys have these days - and what difference does it make? "I don't really know. We've got more people breaking down now than we had before, so why do we persist with a new system?" Despite there being no shortage of coaching staff available to professional cricketers, Walters said he believed modern-day training methods were heading down the wrong path. He said before they went on tours overseas, players should practise in similar conditions to what they will encounter. "Before we go to England our batsmen should be facing two-piece (swinging) balls, and batting on wickets that give a little bit of assistance to the bowlers," he said. "Before we go to India we should be practising on bad (dusty) practice wickets, but they don't seem to do that." Walters also suggested it would help the younger players in the Australian team in particular to have some older heads in the group to help with their development, in much the same way Chappell had helped him in the West Indies. And it wasn't just the wise head of Chappell that influenced Walters during his time in the Baggy Green. The late great broadcaster and player Richie Benaud also had a profound effect on the larrikin from Dungog, in country New South Wales. "My father died during my first Test series, and he was only 50," Walters said. "So Richie became a second father. I miss him, and I'm sure everybody misses Richie." Despite his concerns, Walters said he still believed Australian cricket was in good shape, but he did predict short-term pain, including a Test series loss to the touring New Zealanders. "I think it's in a healthy state, but unfortunately when we lose three or four of our top players all at once we've got to go through a bit of a lull," he said. "I don't think it'll last long. In the past when we've lost three or four really good players it has taken a little while. "But we've lost some players in more recent years with guys like (Matthew) Hayden and others retiring and it didn't take that long to recover. "Hopefully it's only a temporary thing. "I think we'll lose against New Zealand, but we'll beat the West Indies (also playing Tests in Australia this summer)."